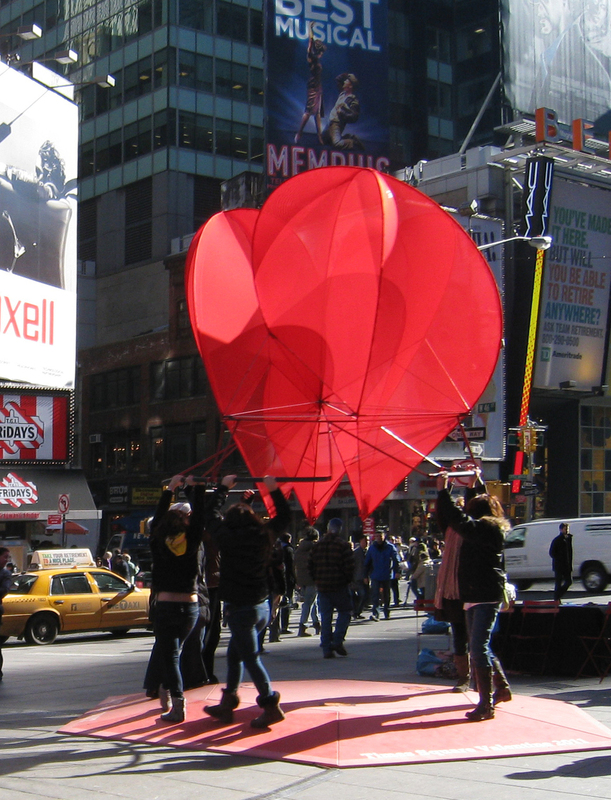 Can you imagine a heart in Times Square lifted and held by the communal spirit of people? 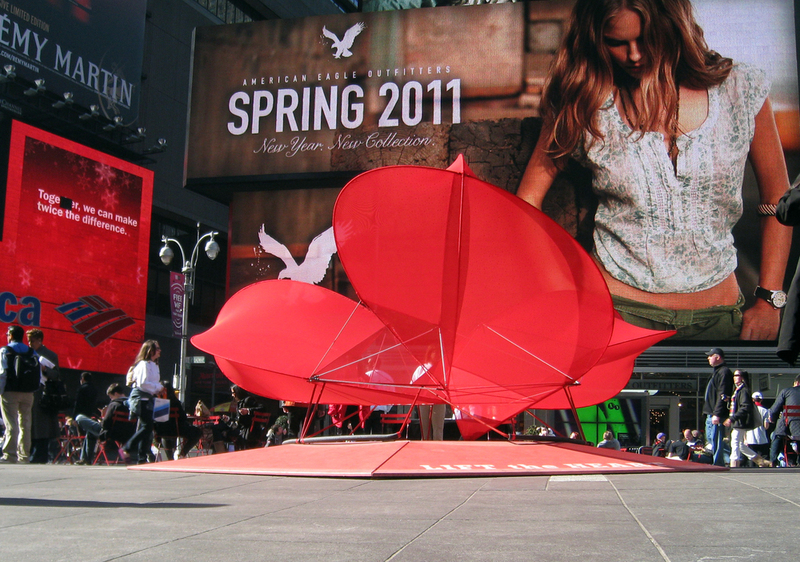 The Times Square Alliance commissioned us to realize their 2011 Valentine, and thousands of people helped us lift the heart from February 10th to the 20th. Lighthearted was a ten-foot diameter lightweight construction with an open weave fabric that allowed wind to pass through, but still captured and reflected light. The frame was made of lightweight aluminum tube that formed curvilinear volumes in the top half of the lobe and a triangulated frame on the lower half. These lobes rotated about a ring that allowed the heart to transform from its closed DOWN position to an open UP position. Video footage HERE. Without volunteers, the heart lays flat on the ground, looking more like a flower. But when the group lifted the structure it became a heart! This communal activity, with participants' arms lifting above their heads, encouraged short exchanges among strangers with the telling of names and hometowns. The space below the floating heart and encircled by the participants defined a new room that was within but separate from Times Square. Peter Dorsey assisted in the design of Lighthearted.